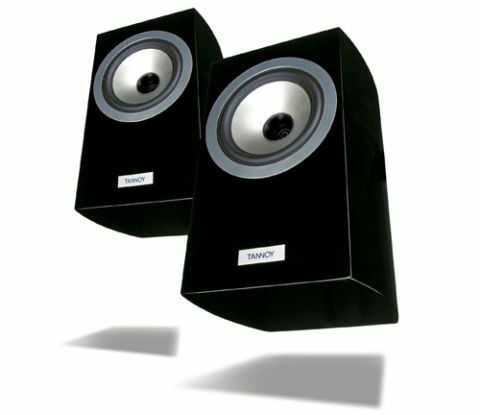 Tannoy Precision 6.1 review | What Hi-Fi? You could say the Tannoy Precision 6.1s have been thrown straight in at the deep end. This model may be the entry into the new Precision range, but that doesn’t stop it being pricey. They certainly look like the money’s worth, the gloss black finish and curved cabinet sides giving a pleasing aesthetic. The single Dual Concentric driver looks understated and the way it’s mounted into the cabinet leaves the front of the speaker looking neat. Despite their decent size, they feel a little lighter and less premium than some rivals. The 6.1s use the same dual-motor, dual-magnet WideBand Dual Concentric driver found in the hugely successful Revolution DC6T SE. This driver technology sees a 25mm titanium-dome tweeter recessed in the 15cm paper pulp cone, in a similar style to the Award-winning KEF LS50s. Tannoy claims this helps with focus, integration and dispersion. And those are certainly areas where the 6.1s show no signs of weakness. You’re presented with a focused, direct sound, with no vagueness to the soundstage. Instruments and vocals are rigid and regimental in their positioning, Jessie J’s impressive acoustic version of Domino showcasing the Tannoys’ precision and thrusting dynamics. They deliver her strong vocal with gusto, while piano strokes and guitar strums are expertly and confidently defined. Spin some classical music, such as the Minnesota Orchestra’s version of Études-Tableaux and the 6.1s dig up a serious amount of detail and display impressive agility. High notes sound crisp and agile, and the track bounds along without hesitation. Over a prolonged listen, though, your attention is constantly drawn to the midrange and treble. Surprisingly, the Tannoys sound just a bit lightweight. There’s a lack of solidity to lows which means bass notes don’t sound quite as gutsy when compared with rivals. Even putting the rear-ported Tannoys up against a wall doesn’t encourage quite enough reinforcement and firmness. The knock-on effect of this lightweight presentation is that vocals have a slight hardness and edge to them, which does detract from the overall sound. In many ways these Tannoy’s excel: for detail and resolution they’re particularly tough to beat and they produce a wonderfully focused soundstage. But they have been scuppered by their lightweight, unbalanced approach to music. More solidity in the bass would have nailed down that elusive fifth star.